Despite the current unstable political and economical situation in Russia, there is still keen interest from around the world in doing business with Russia. The interest from Russia towards European markets is also growing. Competition for winning investments is fierce. After close to four years of promoting Finland and Finnish business environment to Russian companies, I am finally beginning to see better what is Finland's real value-added sales proposition towards Russian companies who are interested in setting up businesses in Europe. When we first started actively working towards attracting foreign direct investments from Russia to Finland, we began with selling the obvious: our long history of trade and proximity. This was a good starting point, especially in the St. Petersburg area, but this was not yet enough to win investments of high capital expenditure. We quickly improved our value proposition with stronger arguments. Finland is a close entry point to the whole EU market. We offer world-class research and development environment for innovative companies. Both are good arguments, but unfortunately not unique enough in comparison to other EU countries. We still lack for example considerable financial incentives such as tax breaks that could really influence the companies' decision to locate their business in Finland. However, going through the process has made us better salespeople and more importantly, taught us a lot more about how we really should position ourselves in the competitive FDI attraction business. Finland's location between the East and West is undeniably excellent. If we take on the challenge of easing the way of internationalisation for Russian companies whilst helping the rest of the western and eastern world to take advantage of the giant Russian market, Finland can become a big and important player for both sides. But we need more than just the location to become attractive enough. Finland's true strengths lie in our booming startup environment and our business development know-how – a match made in heaven. Finland is a cradle of promising innovative startups that have formed into communities swamped with talent. Many Finnish startups are born with exceptional quality and international market experience. This is especially true in the ICT sector where numerous startup founders have experience working for Nokia. At the same time in Russia there are plenty of innovative young companies with great ideas, but due to a lack of crucial business development competence, Russia struggles to build on the existing innovation. Finland should seize the opportunity and build long-term relationships with Russian innovation hubs to enable the growth of success stories on both side of the border. 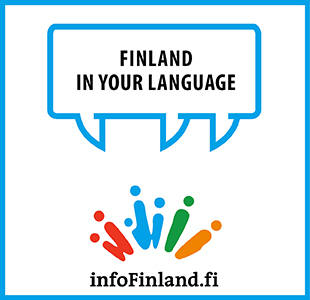 By promoting our current exciting startup environment and the business development know-how, the outcome will be more business opportunities and jobs created both in Finland and Russia. For the rest of the world, Finland would appear as a neutral and reliable partner and a window to Russian markets. That's where we should be heading.